Confirmed details are scarce about Louis Tomlinson’s Judge’s House, but fans have pieced together a bunch of information that seems likely. We’ve compiled it all into this post to help fans sort out the confirmed information from the speculation. There are pictures and videos of Louis in Ibiza. Ibiza was one of the rumored locations for Louis’ Judge’s House so it seems that this is the likely location for the Judge’s House. This picture was taken at a club in Ibiza. Another picture of Louis in Ibiza last night was tweeted. Louis’ friends are in photos from Ibiza that Louis’ photographer took and Louis’ makeup artist took photos in Ibiza as well. The addition of his photographer and makeup artist seems to point strongly towards Louis being in Ibiza for the Judge’s House (and not some random lads vacation). Louis’ friend, who also appeared in the Back to You video, has been in Ibiza for a bit and posting pictures of Ibiza. He also posted pictures of a very nice house. 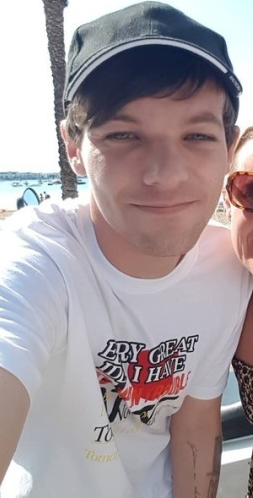 It could be that he is coincidentally in Ibiza at the same time as Louis and his other friends or it could be that they’re making good use of the Judge’s House! A fan spotted Liam at an airport and seemed to indicate Liam was headed to Ibiza. Liam posted a Snapchat video last night saying he’d had a bit of a weird day - “it was good bad and bad and good and all in one, but here we are” so it’s unclear what that means or if he’s in Ibiza. Maybe Louis is STILL refusing to call Liam a “lad”! Updated: The Sun just confirmed Liam will be a guest judge along with Nile Rodgers. Louis’ photographer posted a video of Louis dancing in a club and fans thought they heard Niall laughing at the end. It’s pretty doubtful it was Niall because he just ended his tour in the US on the 23rd and is now in Paris for the Ryder Cup Celebrity Golf Match ahead of the 2018 Ryder Cup. Simon Cowell had an entire party of guest judges for his Judge’s House so there may be multiple guest judges for Louis as well. Louis recently followed Nile Rodgers on Instagram and liked a post by Lunch Money Lewis of him and Nile. Louis has worked with Lunch Money Lewis in the past. Nile also posted about heading to Ibiza, so again, it’s either coincidences or Nile is going to be a guest judge. Update: The Sun has confirmed Nile will be guest judge with Liam Payne. So, that’s what we know so far. It seems like Louis’ Judge’s House is being filmed as we speak. We’ll post any updates as we get them. Next up to air on TV is the grueling Six Chair Challenge followed by the Judge’s House. Live shows should begin in October and run through early December. X Factor episodes air on ITV at 8:35 pm on Saturdays and 8 pm Sundays and on Sundays and Mondays at 8 pm on AXS in the US.